Reaching more than 280,000 listeners in Atlantic, Cape May, Cumberland & Ocean Counties: 95.1 WAYV,100.7 WZXL,96.1 The Touch, 99.3 The BUZZ,EZ 93.1,Sunny 102.3,1340/1230 WMID AM. 95.1 WAYV, Contemporary music with #1 Mike & Diane Morning Show. 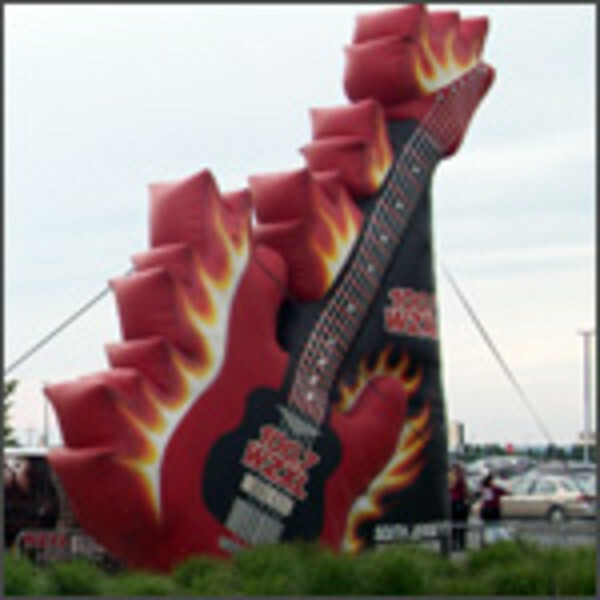 100.7 WZXL has been South Jersey's Rock Station, with Joe & Scott in the Morning. 100.7 WZXL home of the Philadelphia Phillies sponsor of the AC Beer Festival. From public and media relations to special events, Lisa Johnson Communications redefines full service PR. LJC offers a spectrum of services, including crisis communications, community relations, and internal communications. A communications company based in Southern NJ that owns and operates radio stations WOND 1400AM, WMGM 103.7, WTKU Kool 98.3, WBSS Sportsradio WIP and WWAC 102.7. Established in May 2011, the company is committed to offering quality programming that is both live and local. Collectively, these 5 stations inform and entertain virtually every demographic in South Jersey, live 24-hours a day. High energy, extremely creative full-service ad agency specializing in advertising, marketing and public relations. From web design and corporate identity to direct mail and special events, Masterpiece gets results! Full service marketing communication agency offering award winning creative design, marketing strategy, advertising, public relations and event planning. A boutique holistic marketing fulfillment firm that harvests competitive intelligence to produce creative assets and promotion strategies for offline and online engagements. Sparkable also uses competitive intelligence and process management to assist in market cultivation, new product development and business development projects. Sparkable engages in international projects in multiple industries with partnerships in North America, and Europe. Sparkable manages marketing investments. The deliverables and services have been created using the four pillars of holistic marketing as a foundation. Pillars include: Integrated Marketing, Performance Marketing, Relationship Marketing, and Internal Marketing. Sparkable provides strategic engagements, creative development and marketing management services in order to generate measurable outcomes in each of the four pillars for its clients. How does Sparkable make money? Sparkable's goal is to operate on retainer to manage marketing fulfillment investments that range from $20,000 to $5,000,000 annually and provide tangible returns on investment. Full service marketing/communications agency. Services include advertising, marketing consulting, public relations, internet/web, multi-media.